You've seen the San Junipero rashguard. Q. 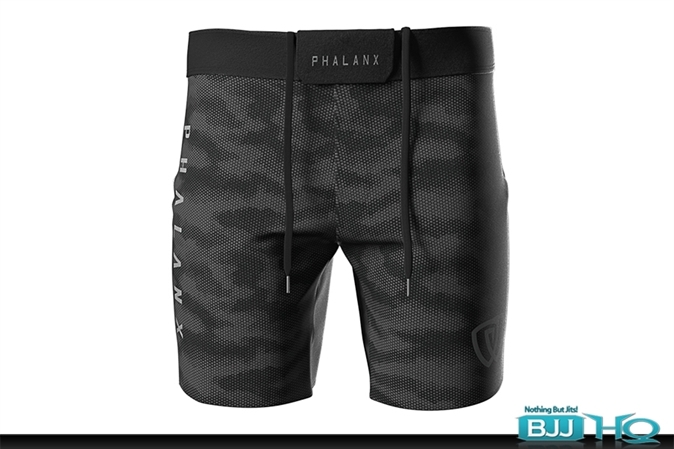 93 brand shorts have been my go-to for no gi. They're great- women's seems pretty good fit to size. Like the slim Velcro closure and they don't restrict . . .
A. 93 brand shorts have been my go-to for no gi. They're great- women's seems pretty good fit to size. Like the slim Velcro closure and they don't restrict . . . Comment. 93 brand shorts have been my go-to for no gi. They're great- women's seems pretty good fit to size. Like the slim Velcro closure and they don't restrict . . .
Q. Does this gi shrink a lot? A. Does this gi shrink a lot? Comment. Does this gi shrink a lot? 93 brand shorts have been my go-to for no gi. They're great- women's seems pretty good fit to size. Like the slim Velcro closure and they don't restrict movement. Q. I've gotta be honest, I'm not crazy about the graphic but I love the 93 Brand cut in all the shorts I own. Had to grab these. A. I've gotta be honest, I'm not crazy about the graphic but I love the 93 Brand cut in all the shorts I own. Had to grab these. Comment. I've gotta be honest, I'm not crazy about the graphic but I love the 93 Brand cut in all the shorts I own. Had to grab these. Q. I don't even watch TV but this is a dope shirt. A. I don't even watch TV but this is a dope shirt. Comment. I don't even watch TV but this is a dope shirt. Q. The 93 Brand Citizen shorts are my favorite shorts that I own. They are the best I have found. With that fit combined with this graphic, it's a . . .
A. The 93 Brand Citizen shorts are my favorite shorts that I own. They are the best I have found. With that fit combined with this graphic, it's a . . . Comment. The 93 Brand Citizen shorts are my favorite shorts that I own. They are the best I have found. With that fit combined with this graphic, it's a . . . I've gotta be honest, I'm not crazy about the graphic but I love the 93 Brand cut in all the shorts I own.